Welcome to Christian Fellowship! We are a Bible-believing church, committed to the proclamation of the Gospel locally and internationally and maturing disciples of our Lord Jesus Christ. Would you join us? Dean Miller will be sharing a message during the Remembrance Service and Ken Kutz will be giving the message during the Worship Service. The Praise Team and Choir have been busy preparing songs for both services. 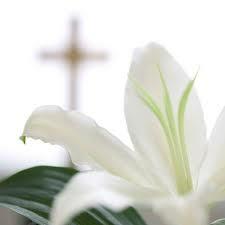 We will NOT have Adult or Children’s Sunday School on Easter, however there will be Children’s church during the 10:30 am Worship Service but not during the Remembrance Service. Between the two services, there will be a time of fellowship downstairs in the Fellowship Hall. We are asking people to bring Easter breads (cut and ready to serve) to share during this time. Please enjoy the latest copy of our church newsletter. There are arrows at the bottom to move from page to page. 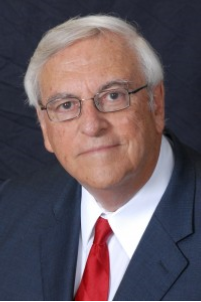 Dr. John Davis, Th.D., D.D., is president/professor emeritus at Grace College and Grace Theological Seminary in Winona Lake, Indiana, where he has served as professor of Old Testament and Hebrew at Grace Theological Seminary for 39 years. He also held the position of executive vice president for six years and president for seven years of both Grace College and Grace Theological Seminary. Dr. Davis is well known for his wide range of activities: senior staff member on eleven archaeological expeditions, pastor of two churches, newspaper columnist and outdoor writer, lecturer. He has authored 18 books, two tape lecture series, and more than 1600 articles in newspapers, journals, magazines, dictionaries and encyclopedias. He also served as one of the translators of the NIV Bible and a contributor to the study edition of that Bible. Dr. Davis is also in demand for fishing clinics which he conducts in churches around the country. Years of fishing experience as well as research make these four-hour clinics of value to the experienced angler as well as the beginner. We are pleased to have Dr. Davis share the message and join us in worship on Sunday, March 10.